The most important outcome of the 100 years – WWI project is the online discovery software based collection of WW1 theme original picture and text documents (from postcards and military notes to newspapers) crucial for Central European region. Aiming to this, the project links the most important V4 cultural centra. Partners begin the research concerning the common online presentations of collections and will resolve issues connected with metadata, multilingualism, presentation tools, types, formats of documents etc. in the V4 environment. 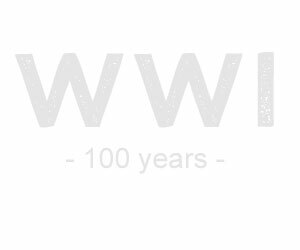 The project partners want to commemorate the centenary of the World War I via the project outputs, the digital objects. The collection of digitised objects will be set in each partner institution and each enabled to be accessed from a single point – website with a discovery tool. To succesfully present the collection with the widest impact, the questions of technical and conceptual nature have to be brought into attention and consequently resolved at workshops. These questions involve metadata (types, their completeness, mapping with other metadata sets, language and multilingualism, sets of actual usage, flexibility of usage etc), approach to presentation (collections linking, nature of discovery software, access point, website´s design, test of the website´s intuitivity, multilingualism, structure of document types and hits, display of the search results, language of the website etc), multilingualism in general (automatised vs. human translation, common language vs. national languages), OCR (OCR and archaic vs modern transcription influencing the human vs automatised translation and full text search results, archaic written form and manuscripts – neccessity, costs). These questions are to be debated and the best solutions implemented in the actual digitised collection comprising the most interesting and original artefacts from the V4 cultural intitutions. The questions resolving will serve as the starting point of the narrower digital online cooperation between institutions with different technical background presenting material highly important for the history of the V4 countries. The online collection will include newspapers, postcards, maps, posters, books, photos, manuscripts, letters, official documents. These documents will serve as highly explorable and usable source of further research. The utilization of thousands of historical and cultural objects from the WW1 period is extremely wide. The objects are attracting professionals and general public from many areas: history teachers, students, researchers, librarians, museum staff, artists, designers. They can be broadly used as a teaching material, as a source of new facts or basics for modern artistic object. The online collection makes the access to the first hand original information easier, more comfortable for all world citizens and make them familiar with history, events and hotspots of WWI. Being reachable from one single point this source of information will be rich and compact. Fast and easy searching in fulltexts will provide even easier, faster and more comfortable direct access to information. 1. Discovery software based website which will function as the single access point where the gems and unique, never before presented objects of the WWI are logically structured and via which these objects are easily reached, displayed and worked with being of a very high quality. In case you want to know more about the project, we will be happy to answer your questions for which you can use the contact form below.